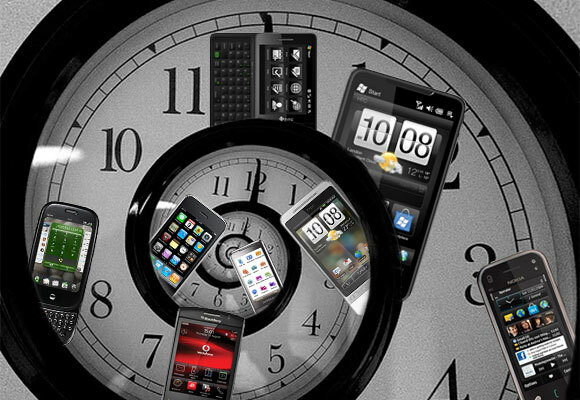 Each weekend we put our arcane knowledge of phones to good use and we pen the Counterclockwise article. This time we look at smartphone's struggle to turn from simple texting machines to the digital camera of the 21st century. The iPhone launched with a fairly basic camera that didn’t even have video recording. In 2009 the iOS 3.0 (then iPhone OS 3.0) update was looming and leaked screenshots showed the revamped camera and gallery with video buttons. The new iPhone, the 3GS, was expected to brings an upgraded camera with 3.15MP resolution. When it was announced, the phone could record 480p video. The iOS update for 2010 was set to bring a different kind of video – video calls, a proprietary service Apple dubbed FaceTime (instead of using the standard 3G video call system). The update also brought over "100 new features," perhaps the most exciting of which was multi-tasking, but there was also tap to focus in video recording. The iPhone 4 that came out in 2010 was the first time Apple seriously worked on a phone camera and it was amazing for its time. The iPhone 4S camera was even better – an 8MP shooter with 1080p video capture. Those two used OmniVision sensors. For the iPhone 5 the rumor was that Apple will switch to a Sony sensor but keep the 8MP resolution. Apple is still at 8MP/1080p, the biggest changes in recent years were the addition of high framerate mode and optical image stabilization on the iPhone 6 Plus. The iOS 7 update in 2013 was running late as Apple was redesigning the UI. While the iPhone was yet to get video capture in 2009, Nokia was legendary in the business world alongside BlackBerry. The Nokia E75 was just hitting stores, with its large slide-out QWERTY keyboard it was set to become an email-sending machine. A year later, two Nokia E series phones from 2008 were still getting support – the Nokia E71 and E66 received free voice-guided navigation via Ovi Maps. 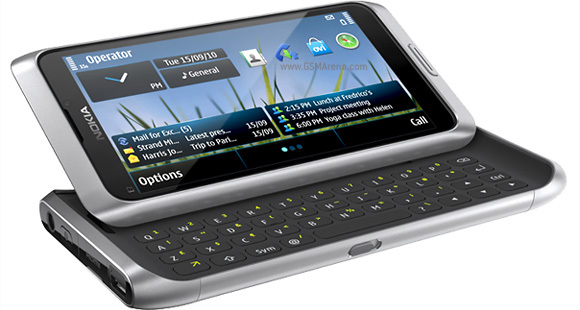 Nokia's last slide-out QWERTY came with the Nokia E7 which launched in February 2011 though it took a while to get to the US and started shipping in April. By that time Symbian was facing the same fate as hardware QWERTYs and later that year Nokia announced its first Windows Phone-powered Lumia phone. Nokia's dominance had declined and its Windows Phone-powered Lumia line was in for a fight. In April 2012 AT&T launched two Windows Phone-powered flagships – Nokia's Lumia 900 and HTC's Titan II. The Lumia had a 4.3" screen and an 8MP camera with Carl Zeiss glass, the Titan II packed a whopping 16MP camera and had a roomy 4.7" screen. Despite the disparity in those numbers, the winner of the skirmish was clear. 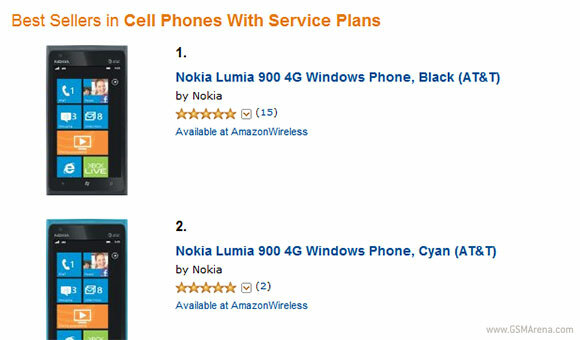 The Nokia Lumia 900 topped the charts at Amazon, with its Black and Cyan versions being the top two AT&T devices. The Cyan version in particular shot up 394%. As for the HTC Titan II, perhaps it didn’t help that it cost $100 more, but whatever the reason HTC's WP7 flagship didn’t even make it into the Top 20. Nokia was trying to win the mid-range too, at the same time in April it was offering discounts and free Xpress-on covers for the T-Mobile's Lumia 710. A year later Nokia had become the leading (some would suggest only) runner in the Windows Phone race. 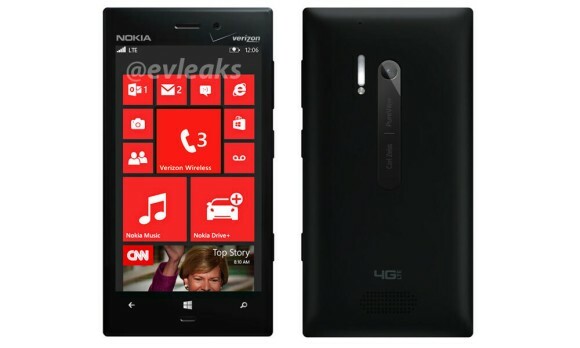 The company was pressing its camera advantage and the Lumia 928 leaked – a phone with an optically stabilized 8MP camera and xenon flash. That was Verizon's version of the Lumia 920 (which had only LED flash) and it came late. Perhaps as compensation, the Nokia Lumia Icon stayed exclusive to Verizon for quite a while. It was a big deal, marking two major milestones for Windows Phone – the first 1080p screen and the first quad-core processor. It also marked the return to high resolution cameras with a 20MP sensor. 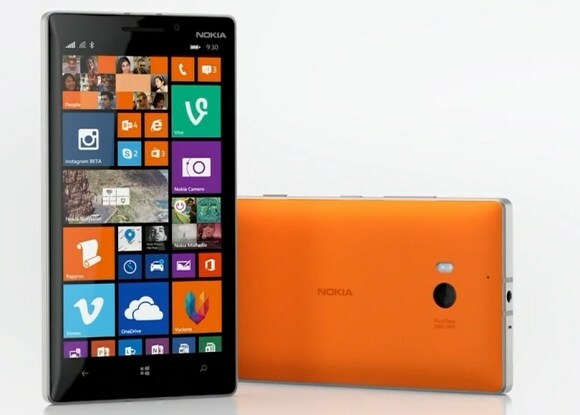 The GSM version of the Icon, called Lumia 930, was rather late to the party – it was unveiled in early April 2014. By that time a 5" 1080p screen and quad-core CPU were 2013 news for Android. The camera didn’t even record 2160p video at the time – that came with the later Denim update. While Windows Phone's flagship class was waning, the platform had become known for offering great specs at the entry-level. To reinforce that, Nokia launched the Lumia 630 and 635 the same day as the 930. Those two were some of the cheapest quad-core phones ever, not the mention the affordability of 635's LTE.